Inbound Marketing Isn’t Working Like it Used To. Here’s What To Do About It. If the standard inbound marketing formula is not working for you, there are 7 tweaks you can make to set your service apart. As we approach inbound marketing’s 10-year anniversary, it’s time for you to rethink your slavish allegiance to it. I convinced thousands of marketing agencies they should deliver a very standardized set of inbound marketing services – i.e. blogging, lead generation and email marketing – to every one of their clients every month. Unfortunately… It’s. Not. Working. Anymore. These services aren’t helping agencies grow traffic, leads and sales for clients in as dependable ways as they once did. Too many marketers are executing this rote set of activities and expecting magic, but getting flat performance charts instead. At first, I dismissed them. “Of course it works”, I thought. Suggesting inbound doesn’t work is like saying climate change is a hoax or that Darwin had it all wrong. Inbound is as natural of a marketing evolution as evolution itself. Inbound acknowledges the buyer’s inherent desire for self-service and self-education. So, I started probing into what these agencies were and weren’t doing, so I could point out what they weren’t doing right. And unfortunately, they were right. Most of the experts I interviewed were executing the playbook as intended. And after looking at their data, I saw for my own eyes: it just wasn’t working very well for them anymore. After about 10 conversations with really smart, really successful, been-around-the-internet-block internet marketers, I discovered the following: the inbound marketing plan doesn’t work as nearly as well now as it did just a few years ago. Increased or sustained effort was bringing diminishing results for many of the people I interviewed. For example, companies that still blog 20 times per month — like they did in years past — were getting fewer and fewer new blog subscribers. Open and click rates on email campaigns were going down, down, down. Not as many people were filling out forms to get yet another ebook. I saw it first-hand too. 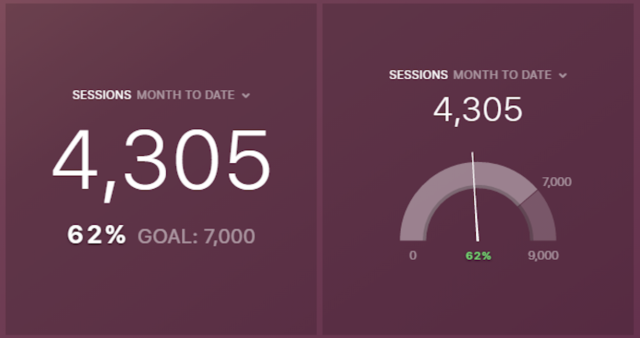 As we started scaling up our inbound marketing at Databox, I saw how hard it is to grow marketing metrics month after month. And while we’ve managed to grow our traffic almost 3-fold in 6 months and our revenue from inbound 5x in that same period, we’ve had to innovate quite a bit to make it work. And we still had a few flat months, despite our consistent effort. In this post, I’m going to share the problems I’m hearing and what we’ve done differently here at Databox that might be applicable to your situation. The problems and the solutions aren’t simple or straightforward. The fact is, blindly executing the inbound methodology fails for a variety of reasons. Here are the 7 top reasons and what you can do to avoid them. You can’t expect a marketing methodology that was conceived almost ten years ago to work for every company all the time, month after month. Five to ten years ago, when most companies were just getting started out and Google was the only game in town, doing anything online worked. I remember the days when almost every blog post I published would rank highly in Google. Now, we’re lucky if a 5,000 word missive that attracts 10 great inbound links will make it to page two. To get attention, your strategy — not just your content — has to be better and unique. You can’t stand out by copying a methodology that’s used by 10s of thousands of other companies. Buyers tune out marketing methods that look like everyone else’s, especially if you’re following the playbook your top five or five hundred competitors are following. You need to create, then refine, your own methodology. You don’t have to start from scratch, though. 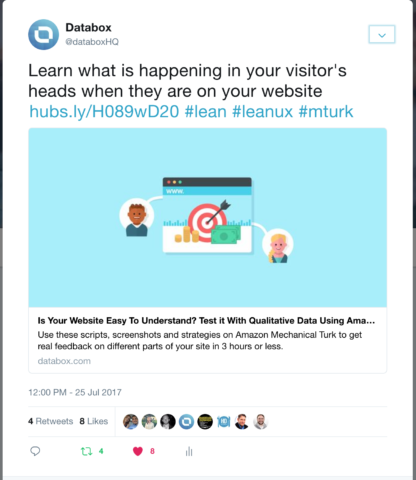 Just four months ago, I wrote, “How We’re Applying Inbound Marketing Basics to Grow Databox.” We’re still doing all of that. Blogging is our key traffic driver and key nurturing tool. Email campaigns are still a top priority. We’ve created plenty of offers and conversion points on our site. But, we’re doing quite a few things differently too. While I’m not going to give it all away, there are a few methods that help our 1.5 person marketing team produce outsized results. If you browse through our blog posts, you’ll see we’re collecting input from 100s of experts to produce our content. Not only does this approach help us scale our content, it also produces unique content. I contend that many blogs are failing because they are simply regurgitating other people’s ideas. Too many articles are written as hypothetical, how-to articles like, “You should do this. Then do this, because this is how it’s done.” These articles lack soul. They fail to tell a story. By collecting input from others, we get to tell a lot of original stories from all kinds of interesting people and companies. Our approach to converting visitors into leads is quite different than what others are doing too. Luckily for us, about 5+ percent of our site visitors try our product. We have a free, full-featured trial as well as a generous free version of the software too. Therefore, instead of producing and promoting ebooks and running webinars, we promote our free product directly in our content. More specifically, we give away sophisticated pre-built reports via our KPI Dashboard Directory. Like downloading an ebook, these templates provide instant value, like our Blog Quality Metrics dashboard that uses Google Analytics data to show how each of your blog posts attracts, converts and nurtures your contacts. In one click, our users can analyze years of blog posts to see which ones can be further optimized to drive business results. You may not be able to duplicate our exact method of converting visitors into leads. But, there are no shortage of other ways to convert visitors today. For example, I’d highly recommend deploying interactive content like quizzes, assessments and calculators; website chat or offering training courses. Give things away until it hurts, then give away a little more. It’s always cheaper to give things away that you can deploy once than it is to hire more salespeople to say the same thing over and over. We’ll continue to refine how we source, produce and promote our content and convert our audience into customers. Feel free to borrow our ideas. But, more importantly, innovate on your process. Don’t just do what others are doing. 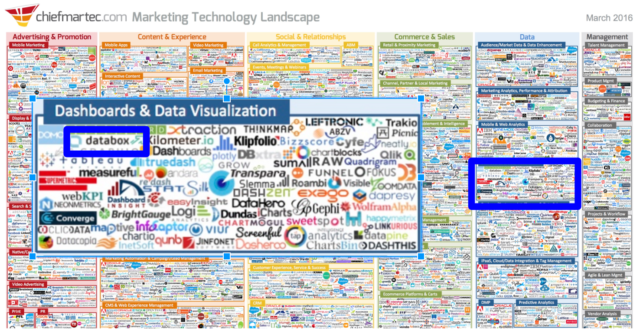 Marketing technology is booming. In 2011, there were 150 viable marketing technology companies in Scott Brinker’s Martech infographic. In 2017, he included 5,000. Loads of marketing innovation is happening inside these venture capital-backed companies. They pack up all of their R&D in nice, low-priced (or even free) SaaS software packages that usually integrate with the tools you are already using. The only barrier stopping you from building your own marketing method is a lack of coordination between specialized marketing tools. If you connect data from individual tools, you can approach the market with new tactics that separate your offering. For example, with Databox, you can take advantage of a free account to connect up to 3 data sources. And you could be viewing data from Google Analytics, HubSpot Marketing and Salesforce accounts in minutes with it. It’s as simple as logging into Databox, then logging into those 3 tools to connect them. 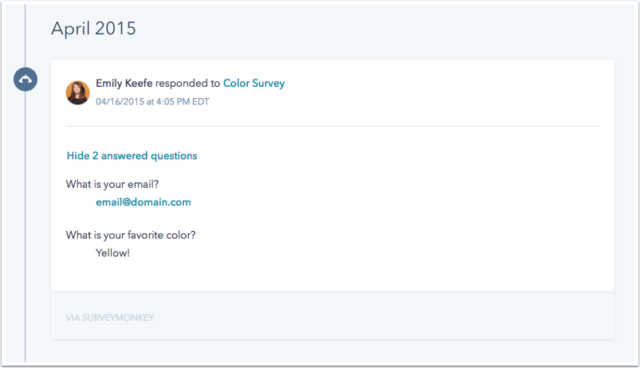 Another example is connecting Survey Monkey with HubSpot. We integrated the products yesterday and launched 5 new surveys in just a few hours. The best part is that the respondents’ answers show up on their contact record in HubSpot, so we can see what people have said without leaving our CRM. With a view of all the respondents right inside HubSpot CRM, we can follow up to thank them, qualify their answers for our articles or engage them further if there are ways we could help each other..
All integrated with the Databox app. We have a complete view of all the interactions every customer has had with us. Soon, we’ll add Drift, VOIQ and SeventhSense in order to grow faster. We also use Google Analytics, SEMRush and Mixpanel to measure our content and application performance overall. No single company does everything well. Some try, but they often fail in certain areas. And by limiting your stack to just one or two companies, you will have trouble innovating on your process. Instead, take advantage of the billions of dollars of R&D these SaaS companies have invested and make available to you via a low-monthly rent. Too many marketers lock themselves in a room, put their headphones on, read a few articles and then start writing. This leads to me-too content. Plus, no one but the author will care about sharing it either. Content can’t be done alone. Imagine if journalists just sat behind their desk and made things up! While some might accuse them of creating fake stories with cries of “Fake News,” I can assure you that most journalists do research in a variety of ways. They interview people, they verify facts with other people, they run surveys and talk to experts. Marketers need to be more like journalists. Well-researched and collaborative production of content ensures better content. That’s not the only reason to collaborate, though. The other reason to collaborate is because others can reach and influence people you can’t. And if they are quoted or featured in your content, they are very likely to share it with others. If you’re not doing co-marketing, you need to start now. It is the easiest way to accelerate your inbound marketing efforts. And you don’t need to have a huge following to get started. Just pick partners that either have a vested interest in your success or have equivalent audiences to you. For example, HubSpot cares about our success because we complement their offerings, reinforce the value of their products, and because more than 1,000 HubSpot customers use us already. Through their Connect program, we’ve been invited to guest post on their blog, attend events with their customers and partners, and a few other special perks that help us expand our reach into their customer base. We also invite our marketing agency partners to guest post on our blog as frequently as they want, which helps them drive some traffic and leads. Moreover, our partners can publish pre-built dashboards to our Template Directory and get notified when someone else uses their template, creating an opportunity for them to engage our users, offer help and probe for service opportunities. When it comes to co-marketing, it’s important to give first. The person selling the solution gets new business. Take the same approach with co-marketing. Ask not “What can I do to generate more leads for my company today?” but, “How can I generate qualified leads for my partners tomorrow?” If you focus on helping your collaborators grow, they’ll feel obligated to reciprocate. In the modern, internet-driven economy, the rich get richer. It’s still easy to walk out on the field, but it is increasingly harder to win. The playing field is still open, but not if you try to beat entrenched players head on. Why? Too much of our digital universe is governed by algorithms that reward the already successful companies disproportionately more than the ones that aren’t yet. The biggest algorithm that favors the already successful: Google’s search ranking algorithms. I don’t know the secrets behind Google search, and I don’t follow the updates like SEO experts do. But, there are all kinds of rich-get-richer ranking factors that affect whether you rank for anything. Not only do the 1st and 2nd ranking positions get exponentially more traffic, the chances of a new website ranking highly against one that has been around for awhile is very slim. 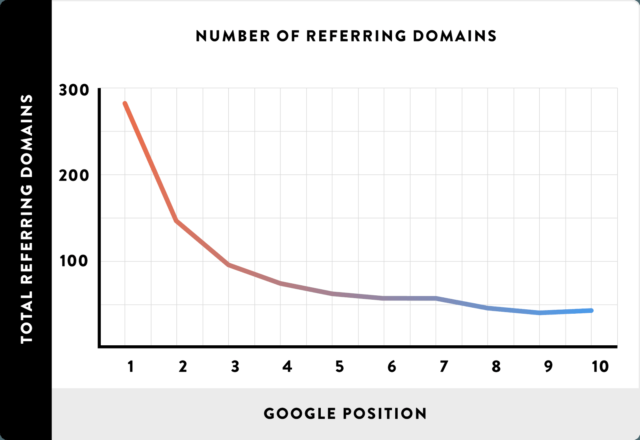 As just one example, see the chart below that shows how the number of sites that link to a website significantly impacts the position it can score for any of its pages. To drive this point home, let me share my experience blogging over the years. When blogging was new in the early 2000s, we could write an article and instantly rank. During 2016, I wrote 42 articles for the HubSpot sales blog. One of the articles I wrote received 40,000 views in its first week. It was featured in a newsletter to 10s of thousands of subscribers that week. It was shared 100s of times. It now ranks well in Google for high volume search terms. Just this week, that post was shared by 10 people on Twitter. I don’t know how it’s doing, but I’d guess it’s generated more than 100,000 views. In contrast, if this post garners the attention of 5,000 people over the next year, we’ll be ecstatic. Our email list is a fraction of HubSpot’s size, our domain authority is half of HubSpot’s, our social following is paltry compared to theirs. They recently just hit 1M video views per month on Facebook, and while they’ll tell you it’s their improved topic selection that helped them, it’s also because they have 1.5M facebook followers and all these other channels to leverage. Online, success begets success. So, don’t try to beat the top dogs. We certainly don’t compete with HubSpot in any way, but we definitely compete for attention with them and hundreds of other websites that are trying to reach marketers and their agencies. So, knowing that the rich get richer, what should you do? I’ll tell you what we’re doing to avoid going head to head with our perceived competitors. It starts and ends with market focus. When I joined Databox this past January, the team was marketing the product to everyone. (We will be changing the site soon to reflect our focus, but if you want to see what I mean, head on over to the homepage. You’ll see the scrolling header targeting executives, marketers and analysts.) The team has built integrations that target developers, marketers, salespeople, large and small companies — all over the map. As a result, everyone that tried the app had a different application. The product does appeal (and can be used) by a wide variety of companies. However, each prospective customer had different needs, so selling and onboarding each of these companies became a 1-off, time-consuming project. As a result, the team failed to scale this business to anything sizeable. There were only a handful of paying customers when I joined. Now, this may be an extreme example of lack of market focus, but I see most companies making this same mistake. I see bootstrapped, two-person companies trying to be all things to all people. You may be able to pull this off with sales hustle, but no amount of marketing hustle in the world will ever let you gain the attention of everyone. And the more you focus on everyone, the less you can focus on any one or any particular group of customer’s needs. So, we knew we had to focus in order to succeed with our marketing. Fast forward to today at Databox, we have a few thousand regular users and a few hundred paying customers. We stopped trying to be all things to all people. Competitors of ours like Domo or Tableau, who have raised lots of money, can afford to be all things to all people. They can market their technology and/or their movement to many types of businesses. Their customers have to figure out how to apply the technology to their own situation, but they’re willing to do that because those tools have 100s of Millions of dollars of R&D behind them. But, when you’re just getting started, like Databox was, you need to pick a battle you can win. The first thing we did was pick a target. I like to call it our beachhead. The obvious choice was to focus on HubSpot partners, given my personal experience and connections. By building an integration with HubSpot that’s second to none (or rather, light years ahead of anyone else — even our billion dollar competitors), we can help HubSpot partners shave hours per month off their reporting processes. 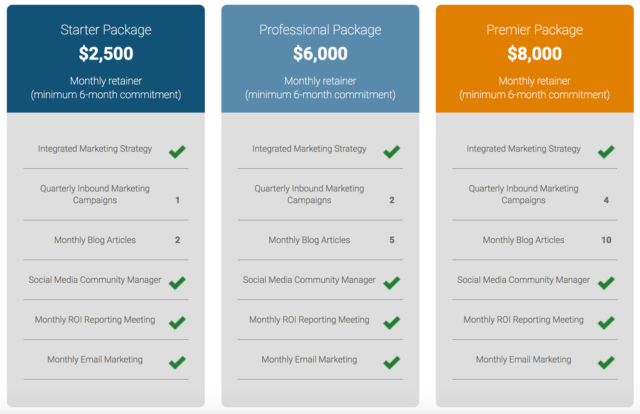 Of course, now we can help the average HubSpot customer as well (not just partners). By investing in these other connectors, we will help many other smaller marketing agencies too. And because we are low-cost and significantly easier to setup and use compared to our competitors, we are crushing them in this market. By picking HubSpot partners as our beachhead, we nailed a single use case that allowed us to focus our marketing, streamline our sales process, and standardize our onboarding process. 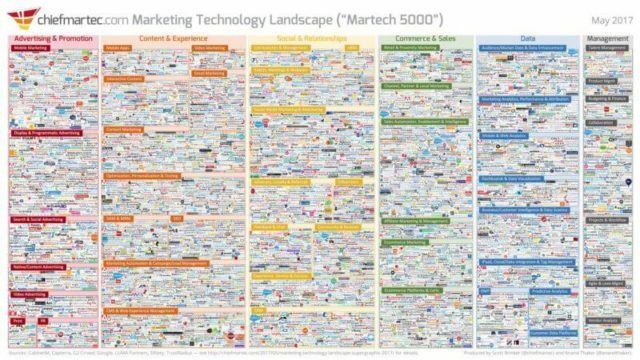 Best of all, now we don’t have to compete with the 100s of companies in this space shown in the aforementioned Martech graphic. We’ll continue to innovate in ways these other companies aren’t and in ways our unique customers will value and we’ll expand our markets as we go. But, we have plenty of opportunity to get to our next growth stage just selling to this first market. There are 3700 HubSpot partners and growing, 30,000 HubSpot customers and 250k small marketing agencies. There’s plenty of market to capture, but because the product can be applied in many applications, our customer acquisition progress will allow us to expand into new markets. Rest assured, we’ll do it one market at a time, so we can nail the marketing, sales and services processes that allow us to effectively serve each market. Don’t go head to head with the big boys. Start with a niche, and when you’ve mastered that one, pick your next one. Sales is ridiculously hard these days. Prospects don’t want to talk to salespeople. For years, I thought the best solution was sales training — and that certainly helps. But, the best solution to struggling or slow sales, nowadays, is marketing and the right pricing and packaging strategy. To succeed today and be defensible in the future, you must have the lowest starting price point in the market. You’ll be fine for quarters to come if others are a bit cheaper and sub-par. But, eventually, Amazon or a company behaving like them (investing everything back in their business, unlimited capital available to them, beating everyone on price in every market they enter) will take you out. Take a long, hard look at your pricing and packaging. Just because some segment of the market will pay your high prices, it doesn’t mean everyone will. And when you leave that opening, a competitor will eventually take it. In software and services, you need to start with free. The more competitors you have, the more critical this is. The biggest sales successes Databox had in the past were selling advanced versions of the app to a few F500 companies for 10s of thousands per year. The problem is that they ran out of companies willing to pay that. One of the first things I did when I joined was reduce and simplify the pricing and packaging. We moved almost all of the features into every level of the product, so that marketers wouldn’t hesitate to try us. We also increased the limits on the free product so that small companies wouldn’t hesitate using us and so that larger companies could really test us out effectively. Lastly, we lowered the cost of our higher-limit product levels. I faced a lot of resistance. The product team still thinks we should re-raise our prices. We are, indeed, proving tremendous value for our price. But, it’s these lower prices that encourage people to buy without talking to us and on sales call after sales call, our prospects say, “Using Databox is a no-brainer.” Given our market is so big, and we are early in our commercial development, I will not raise prices anytime soon. Today, everyone has a competitor. You must lower your price, so that you’re the first one they try. Today, we have hundreds of paying customers and thousands of free users. Because our price is low, revenue adds up slowly, but it’s steady and predictable. When you lower and simplify your pricing, more of your marketing will work. Your conversion rates will ultimately be higher. We now have 1000s of companies we can collaborate with to get our next visitor, user and paying customer. And most importantly, your sales effort will drop drastically. When our salesperson speaks with a HubSpot partner who has already used our product, the sales call merely has to clarify some questions and talk through next steps. We laugh when HubSpot partners compare us to our dashboarding competitors; we’ve lost one competitive deal in our chosen market. In the context of this article, it means that no matter how carefully a marketing project or task is planned, something may still go wrong with it. Anyone that has done any kind of marketing knows you can’t perfectly predict the outcome of any one marketing activity or tactic. However, with the right tracking, enough historical and benchmark data, the flexibility to adapt your plan based on that data, and a bit of hard work, goals can be achieved. Unfortunately, most marketers set up an annual activity plan and then blindly execute it. That is a recipe for missing targets. Instead, work backwards from your revenue goals to calculate the traffic and leads you need. You’ll need your current conversion rates and average sales price handy in order to make these calculations. 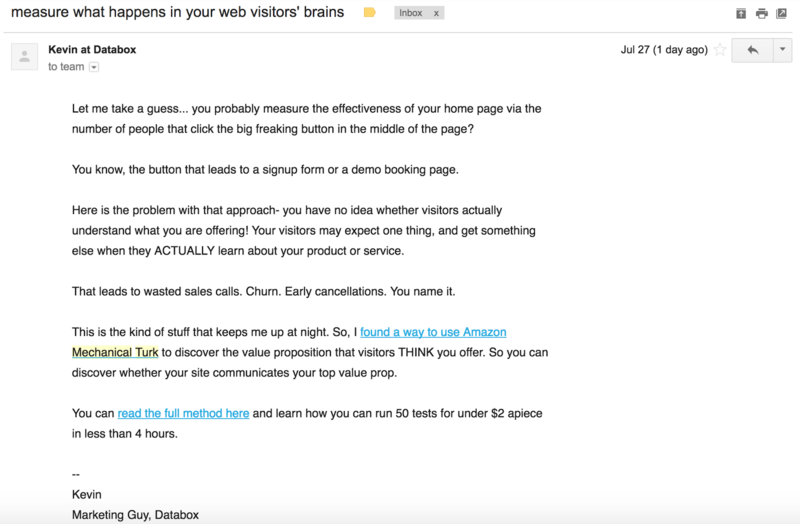 (Here are full instructions for calculating your targets based on your revenue goal.) Once you do the math, take a look at your historical growth rates and be realistic about what effort needs to go into being successful. 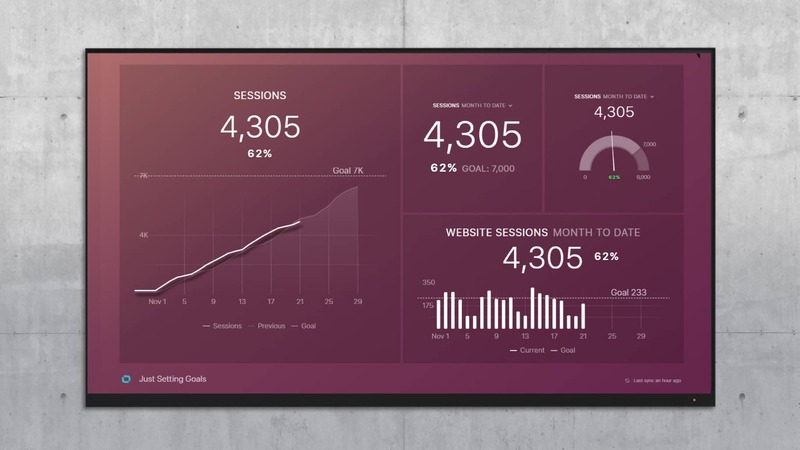 I tasked Kevin Kononenko, Databox’s marketing manager, to complete these calculations a few months into his work with us. He calculated that he must grow traffic and signups by 20% month over month. He doesn’t quit until he gets to that number each month. He monitors his success on a daily basis to make sure he’s on track. He uses our product to do it, of course. 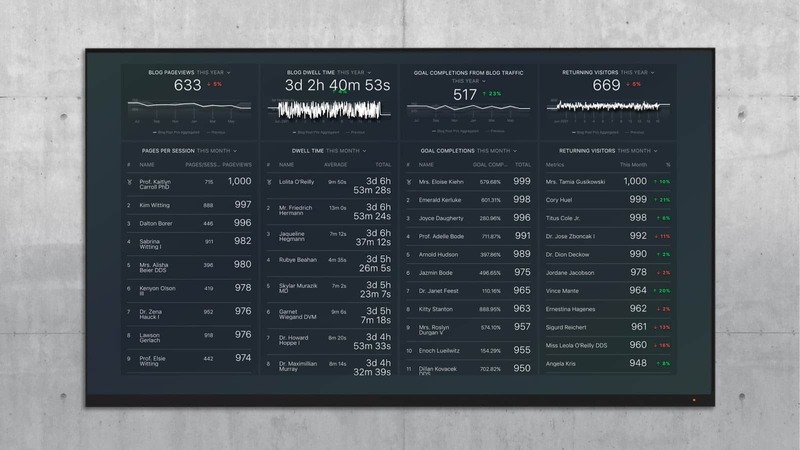 Here’s a few of the dashboards he uses. And he uses our Goals feature to set high-level and low-level goals. Once a month, we reset downstream goals like email, social, referral and blog post performance based on the revenue we need to achieve. He keeps track of that right next to his historical and current performance. Most importantly, do not decide a marketing plan at the beginning of the year and just blindly follow it. Publishing 10 blog posts, a new ebook and an email campaign every month is better than nothing. But, if you’re just going through the motions, don’t expect to light the world on fire. Instead, do like Kevin does, or good sales teams do and put some sales hustle into your marketing. Just like marketers are failing to adapt their marketing plan to ensure goal achievement, they also aren’t tweaking their marketing assets to maximize their contribution. Most marketers ship a campaign and then wait until the end of the month to report how it performed. Then, move onto the next one. This is a massive, missed opportunity. At Databox, we double down on high-performing content right away. 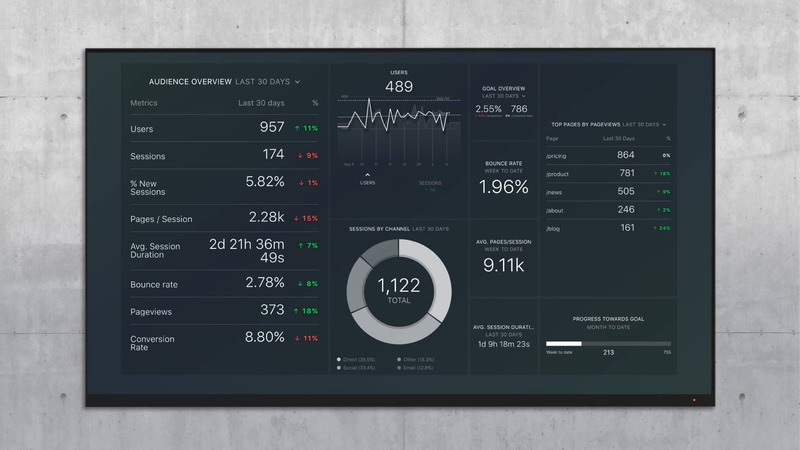 Here’s a few examples of how we use data in real-time to improve our performance. A few years ago, HubSpot coined the term “historical blog optimization”. It is the practice of updating older blog posts with additional content to garner more traffic, or adding a better call-to-action to convert readers into leads at a higher rate. In an effort to test the performance of different topics and content quickly, we started doing real-time optimization. Instead of writing a long post, publishing it and waiting six months to update it or promote it again, we publish a slightly shorter post, and update it right away if it’s doing well. For example, we published an article 9 SaaS Metrics Every Company Should Track, but because it performed so well, we updated it and re-published it twice in the two weeks after it’s initial publication. 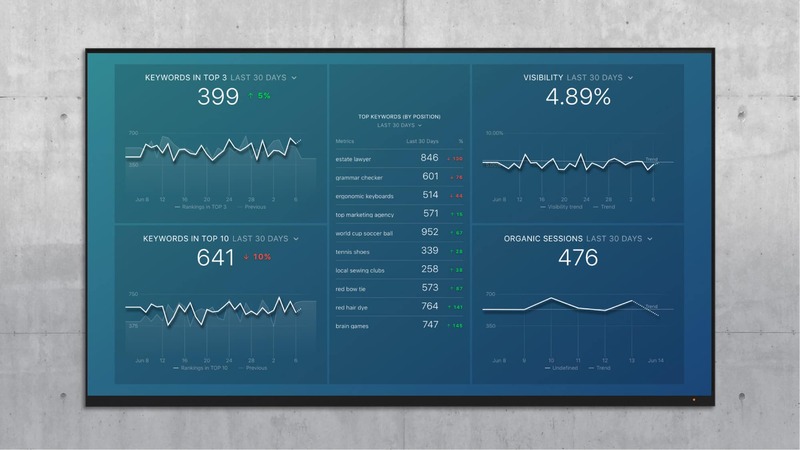 Now, as you might imagine, it has 18 metrics every SaaS company should track. That post continues to bring us traffic month over month. As you can see the subject line and the call to action at the bottom of the message parrot the tweets. Each week, we look at what posts performed best using our blog quality metrics report and double down on those posts for future topics and further promotion. Marketing effectiveness can break down in many ways. Many times, marketing messages, ads and content miss the mark. We’ve had marketers tell us they spent days putting together Facebook Ad campaigns, then realized two weeks later that they forgot to turn them on. It’s no wonder. There are so many numbers to monitor. Rankings, traffic by source, leads by source, social posts, ads, call-to-action, landing page conversion rates, email click-through rates, sales activity and conversion rates — the list goes on. If marketers and their agencies don’t realize they’re missing the mark and adapt, they will fail to achieve the right results. Yet it’s nearly impossible to keep track of all numbers without spending hours just doing that. Cut and paste some key metrics into KPI spreadsheets. Build some graphs using that data. Create a presentation that includes the graphs they’ve created as well as some graphs that are impossible to recreate from other tools. Based on an informal survey, we estimate the average full-time marketer spends thirty hours per quarter doing this! With a reporting process like this, no wonder too many inbound marketers fail to exceed their goals because they fail to adapt their failing plan, or even realize it’s failing until it’s too late. Real-time, any-device monitoring is a way to avoid this completely. By pulling all your data into one app that makes it available on all devices, everyone can pay attention to everything very easily. Once you set goals, you can easily see how you’re doing against where you want to be, not just where you were. You can also manage down-side risk. By anticipating where things could go wrong, you can setup alerts that notify you before things get real bad. For example, you might want to be alerted if traffic, leads or ad clicks have dropped 20% month/month or are way below a target you’ve set. To do this with no extra effort, set up notifications that go to your boss or client. Let’s say that you hit your traffic goal half-way through the month. If you wait until your next reporting cycle to notify your boss or client, that success will be forgotten. They’ll be thinking about other things. The time to celebrate is when the wins happen. It could be as simple as having a day where you generate a larger than normal amount of leads or you finally get onto the first page of Google for a tough keyword term. To make sure you celebrate your hard-earned victories, use automated emails and mobile push notifications to brag in real-time. Let the software do the bragging for you. The goal of attracting, converting, closing and delighting customers is still the right one. And the traditional inbound methodology shouldn’t be thrown out completely. But, while blogging, landing pages and email marketing are still key foundations, inbound was conceived before Facebook made demographic targeting simple, Wistia made video marketing affordable and Drift made it possible to talk to the right prospects on your website in real-time. It’s time for inbound marketers to mix it up. There are literally 100s of different ways a company could grow traffic, leads and sales nowadays. With so many tactics available to us now, it’s not that hard. Leverage multiple software products to easily innovate your approach and processes. Source, produce and promote content with your community, not by your lonesome. Find a niche or a beachhead market before you take on bigger more entrenched players who own the mind and wallet-share in your market. Be the easiest to do business with by having a free product, lower price and simple, pricing plans. Set goals and adapt your plan so you achieve them. 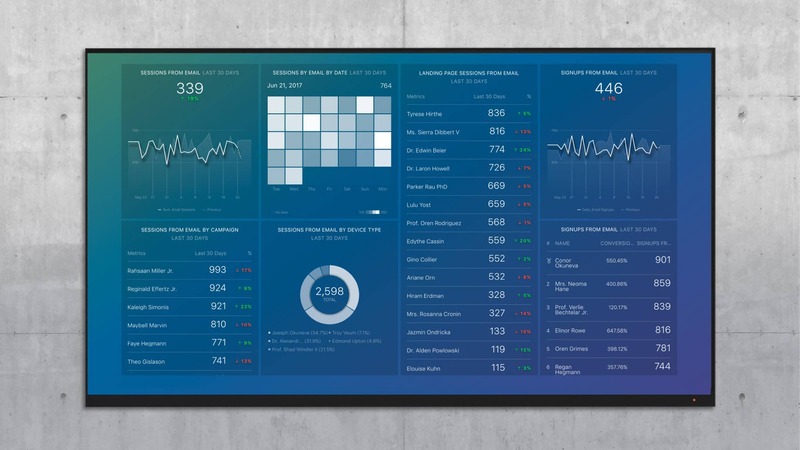 Monitor your metrics in real-time, so you can accentuate (and celebrate) wins and catch issues. If you are doing something creative, let us know about it. We’re always tweaking our strategy and as you already know, we’re very open to collaborating with like-minded marketers. 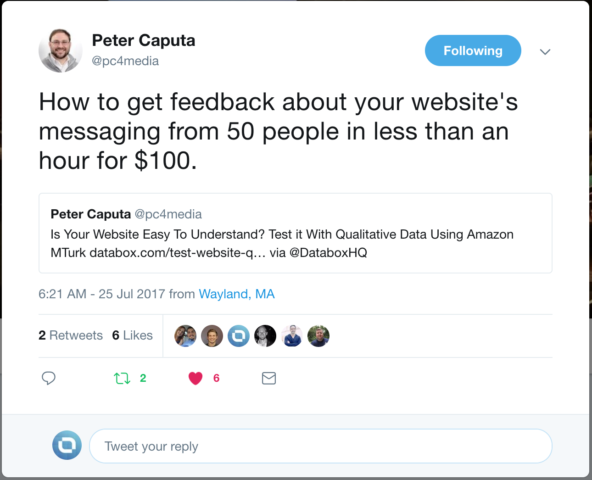 Peter Caputa IV is CEO of Databox. You can follow him on Twitter or connect on Linkedin. We asked 27 marketers to share how they use Google Sheets. The result: 19 unique use cases you can adopt, plus several tools that make Google Sheets more extensible. Agency pros share their experiences and insights for running client reporting meetings that are productive and actionable. We asked a few dozen agencies to share their most painful client experiences, and more importantly, the advice they’d give to other agencies to avoid them.